The Balance is situated in the heart of Sheffield city centre and has proved a popular location for many businesses over recent years. The building has attracted some of the city’s best known businesses including Plusnet, Hill Dickson, Access Computer Consulting, Horwich Farrelly and Protocol Education. 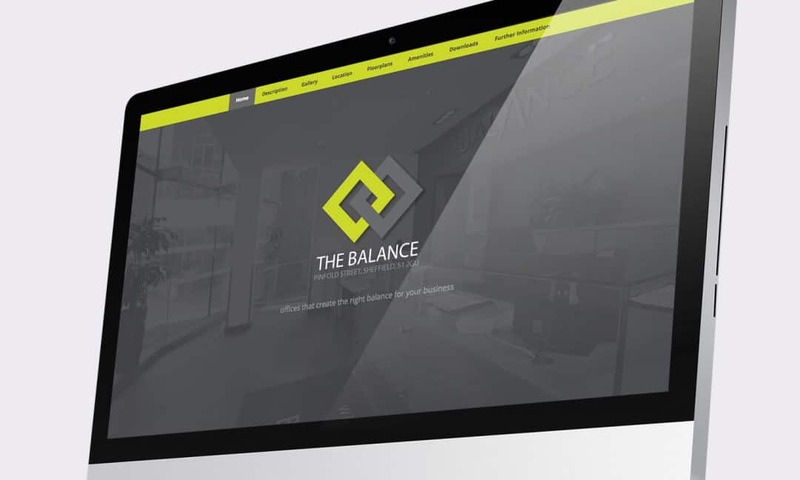 The Creativeworld team was exclusively appointed by leading UK property agency Knight Frank to design a unique marketing and advertising campaign to re-launch ‘The Balance Sheffield’ to the market. With the county of Yorkshire welcoming the Le Tour De France to the area in 2014, we were asked to incorporate a cycling theme into the designs for the new advertising campaign. A new brand identity and logo was required in order to fully re-launch the exciting opportunity to the market. With our team having worked closely with leading scheme agents, Knight Frank, on previous projects, we were asked to simply do what we do best. So that’s exactly what we did! Along with the fresh brand creation and signage came the birth of a brand new website, which was exclusively designed and developed for the scheme by our in-house digital team. The website included a dedicated downloads area along with a photo gallery, location maps and floor plans. To finish off the marketing, we also designed an on brand 6 page ibrochure.